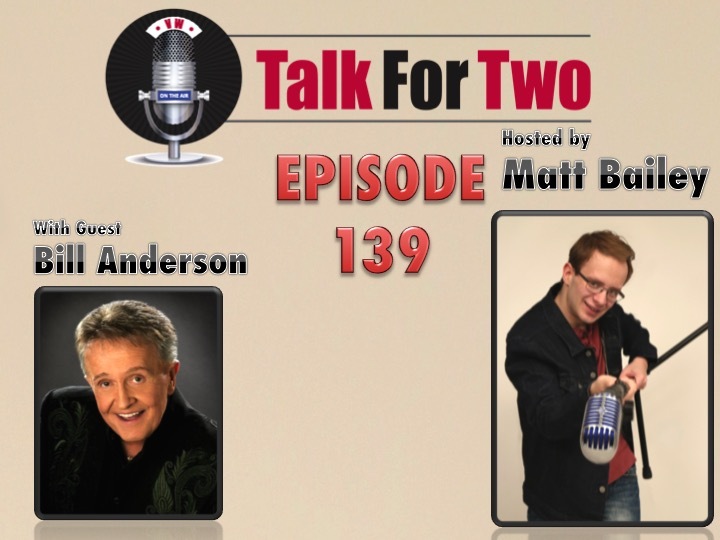 Matt Bailey is proud to welcome country music legend BILL ANDERSON on Talk For Two‘s fall premiere! Anderson discusses his new book, An Unprecedented Life in Country Music. He opens up to Matt about a time in his life when his finances weren’t the best, causing him to lose interest in sitting down to write songs. It wasn’t until a contemporary country artist had a hit with one of Anderson’s songs, nearly 30 years after it was written, that Anderson felt he had anything more to say through country music. This new book is a peak inside the business of country music, the life of Bill Anderson, and his love and appreciation for his his career. What you will hear today includes tales recounted in his book, along with a few other stories that will make you want to learn more about this fascinating man and his incredible career.